Nike's renowned sports technology and stylish designs have made it a household name. Nike eyewear upholds the brand's reputation for unparalleled performance and on-trend styling by embracing technological innovation and state-of-the-art craftsmanship. Nike eyewear meets the same impeccable standards that has made its shoes and clothing the trusted go-to for professional athletes and fashion-savvy trendsetters alike. Nike understands that style and performance are not mutually exclusive, and this is reflected in every one of its fashionable frames. 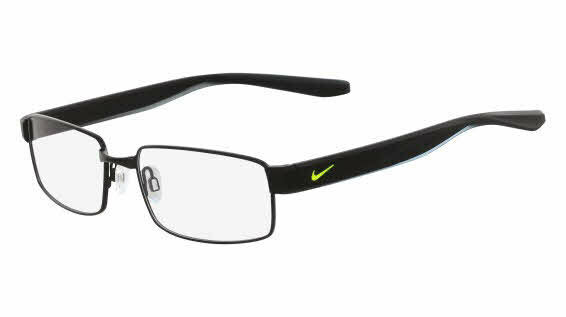 Nike 8171 is a Full Rim frame for Men, which is made of Metal. Nike 8171 Eyeglasses come with a cleaning cloth and protective carrying case.